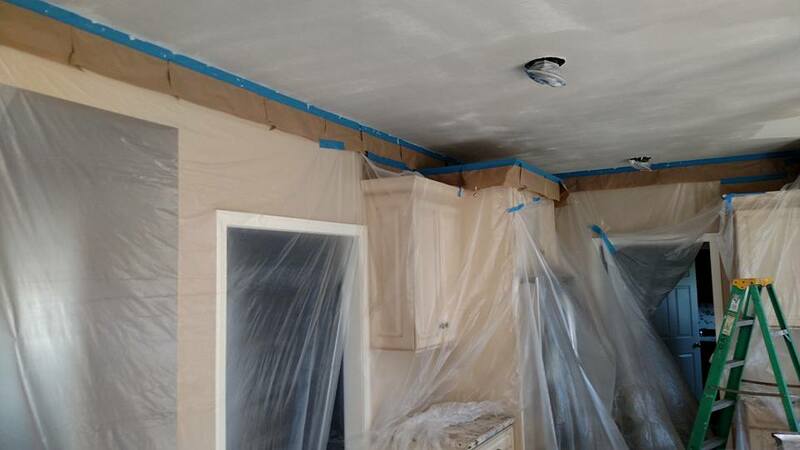 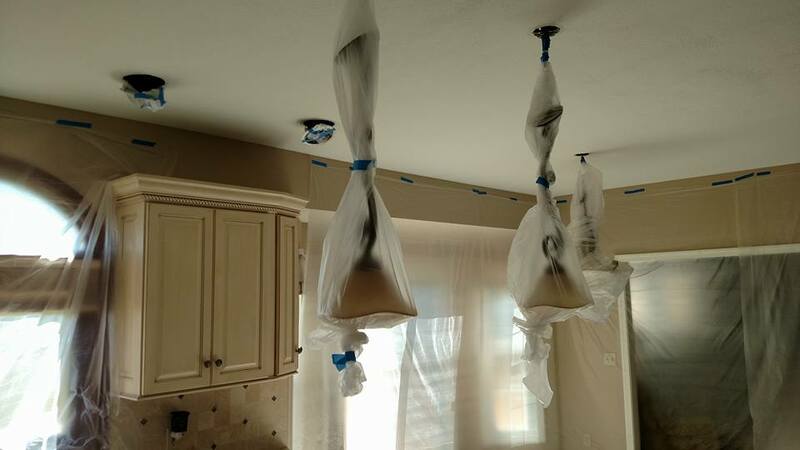 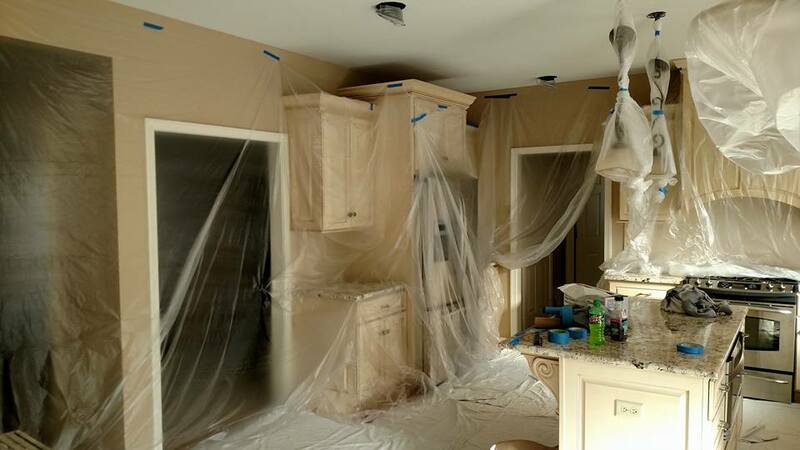 This homeowner was concerned about drywall dust in their kitchen space. 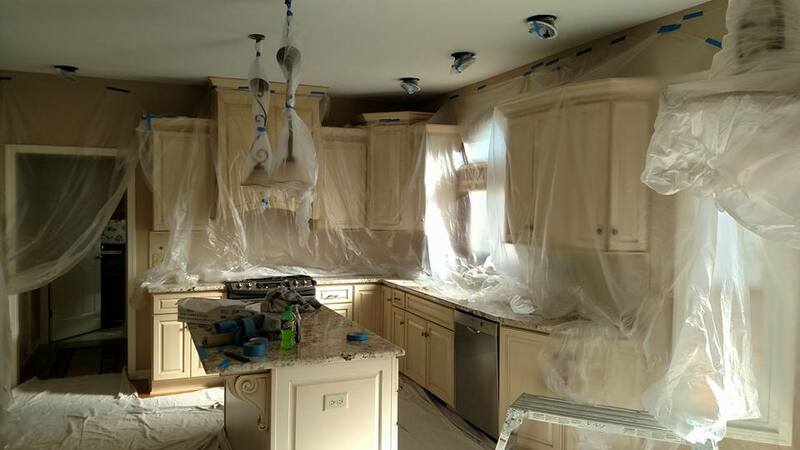 We prepped and covered every surface to ensure the kitchen was as good as new when we completed our work. 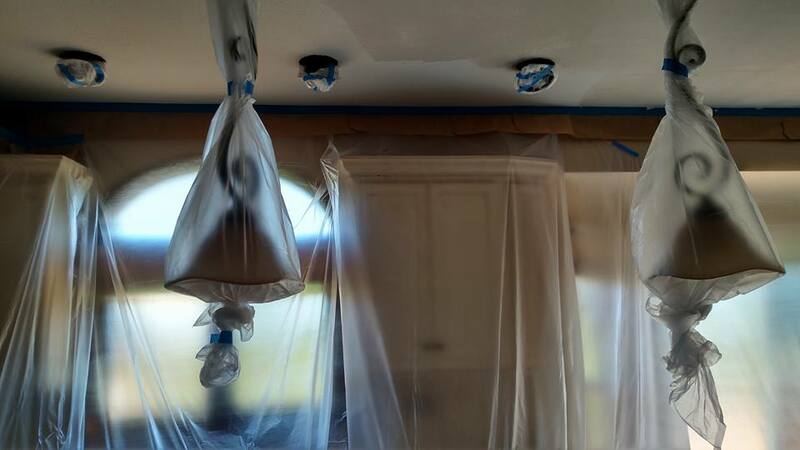 Plastic sheeting, drop cloths, and ram board are used to ensure your project stays tidy. 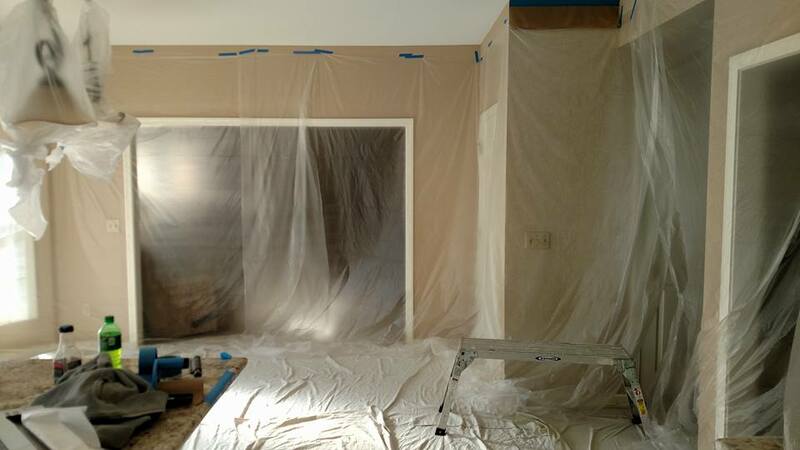 Kitchen completely covered in plastic for drywall work.